If you have ever been to a Pow Wow, you can probably hear the sound of jingle dresses and drumming while just looking at this image. I loved watching this young girl dance in the circle, and she was at it most of the day. 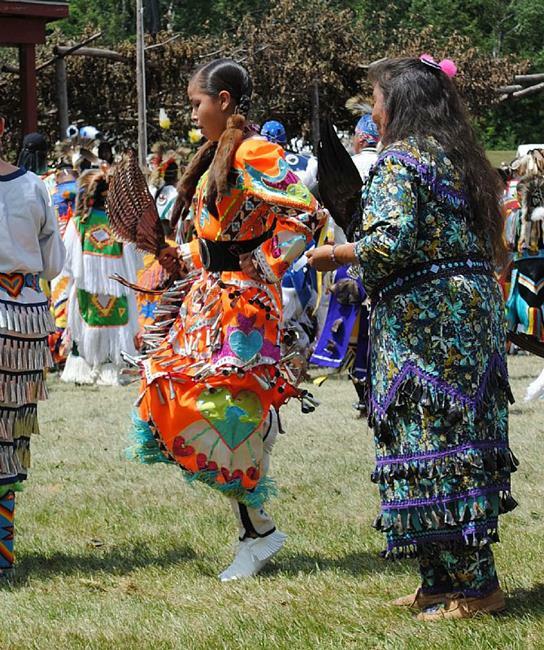 If you have never been to a Pow Wow, I highly suggest taking one in, the season is upon us! Go, enjoy, and spend the day. You won't be sorry! Image taken with a Nikon D3000 dslr.